Cook all in one day ---Can have it set up -a week of dinners in one day. My husband won't eat leftovers, so if I cook something that's going to be more than just one meal I can freeze it and he can eat it, instead of a TV dinner. I work shift work. It's nice to be able to cook and store many meals in advance. THESE ITEMS TO HELP MY MOM OUT .SHE CANT COOK MY DAUGHTER HELP OUT BY MAKING DINNER FOR HER THANK YOU MAKING MY JOB LITTER BETTER . These work so good and last so long and are made very well. They come in handy when you want to get food and go. It is just my husband and myself now and these will make great containers for left over dinners to put up. 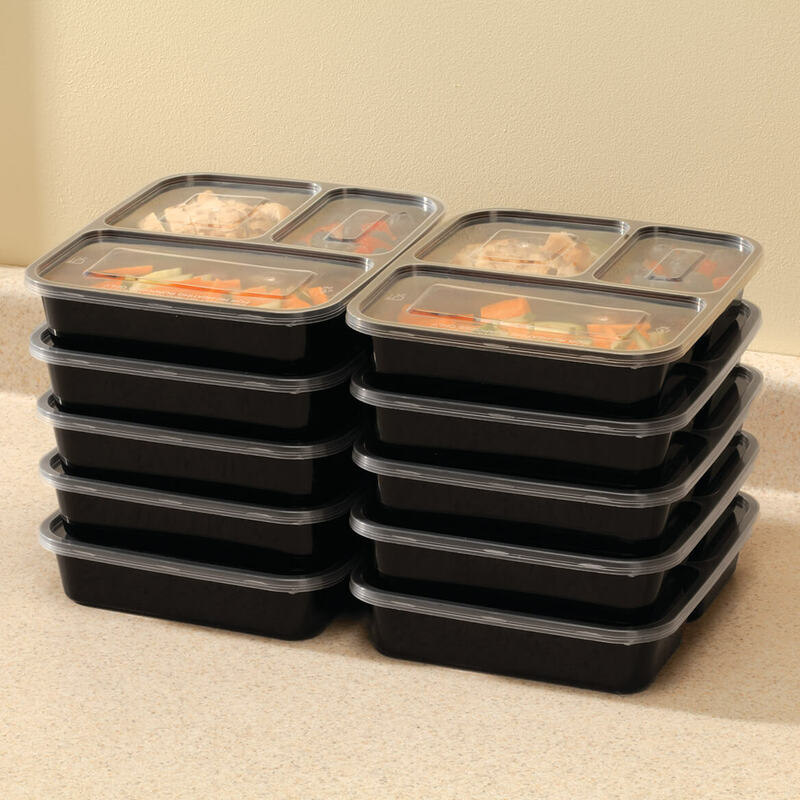 So , I can freeze dinner and take it to work all in the same container. For convenience !!! better then plastic, good for taking home. Looking for something similar for years, hoping that these can last, or at the very least return back home after they are used by relatives. For my diet. It will allow me to prepare my meals before hand. I was very happy with this storage set. Have purchased one myself, now buying several more as gifts. I have microwaved, frozen leftover meals. Excellent product!! We have a busy schedule, so we plan to prepare meals on Sunday to eliminate fast food and the cost of eating out during the week. Good price and convenient to use; especially taking lunches to work. It's a healthy alternative to other storage units. I plan to use it to put leftovers in to reheat later. You cannot buy a separated dish like this for $100. Live alone and I can make several meals at one time. BEST ANSWER: Thank you for your question. 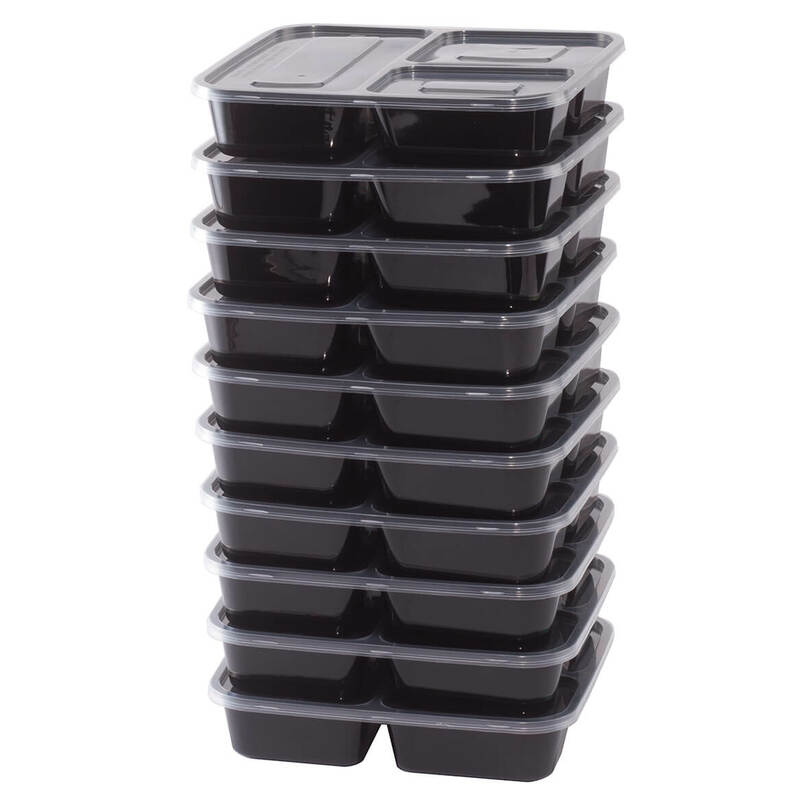 Each container is 8.3" x 7.1" x 1.7". We hope this information will be of help to you. BEST ANSWER: NO. They are not vented and I wouldn't recommend them to anyone!!! I burnt my microwave up trying to use them. They are made of light, soft plastic. I don't think that they are for microwave use even though it say so. They could probably be used for storage. Thank you for your question. Unfortunately no they are not vented. We hope this information will be of help to you. 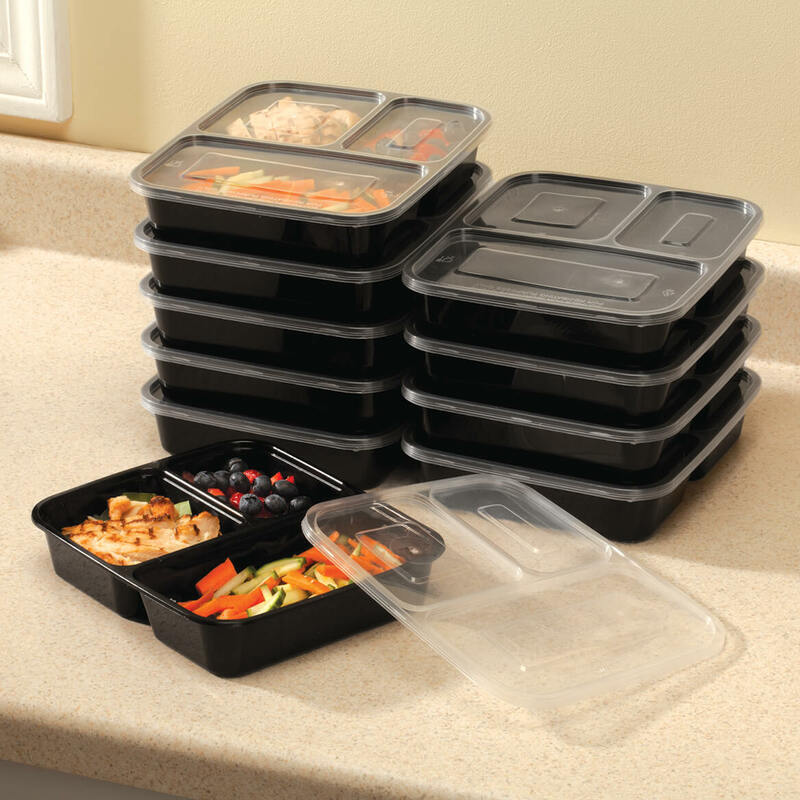 Can you freeze food in these and then put into microwave? BEST ANSWER: Thank you for your question. They can be used in both. However, we do not recommend going directly from freezer to microwave. Let it sit out for a bit. We hope this information will be of help to you. No. I recommend that you don't purchase these! They are a hazard!!! I burnt my microwave up. They almost started a house fire!! Do these containers fit inside one another/stackable for storage purposes? BEST ANSWER: Thank you for your question. Yes they do fit inside one another and they are stack able. We hope this information will be of help to you.